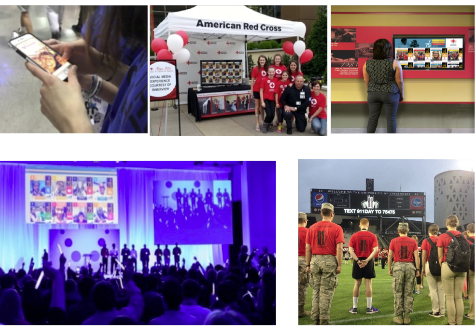 Volunteers lead rich lives full of activity; how does your program integrate into their world? InnerView Partner Tools are designed to monitor progress as members explore service to others, provide insights and recognition to expand as well as elevate service and connect local impact to the UN Global Goals. Unlike closed systems for tracking, InnerView has been designed to empower student members and organizations with public real-time updates and more robust views of interests and impact. Students gain certified entries on a service resume, built from simple mobile check-ins. One system for all facets of personal service from volunteering through leadership and annual award consideration. 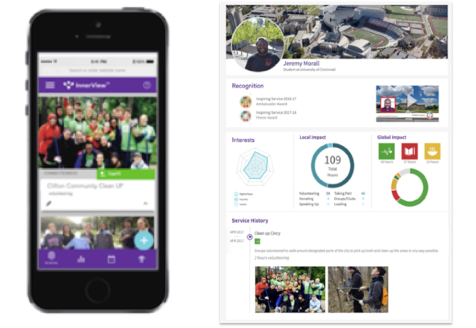 Real-time data enables chapter leaders to view progress of members and programs on demand. Gain insights into external service and impact areas of interest across chapters. 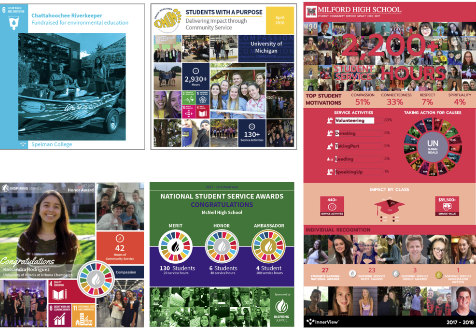 Access a dynamic pipeline of content for communications including activity feeds, event photo walls and social media assets to highlight student impact and embrace the athentic culture of each chapter. Promote and manage group and community-wide events to best support local needs. Help introduce the UN Global goals to service activity and community conversations. 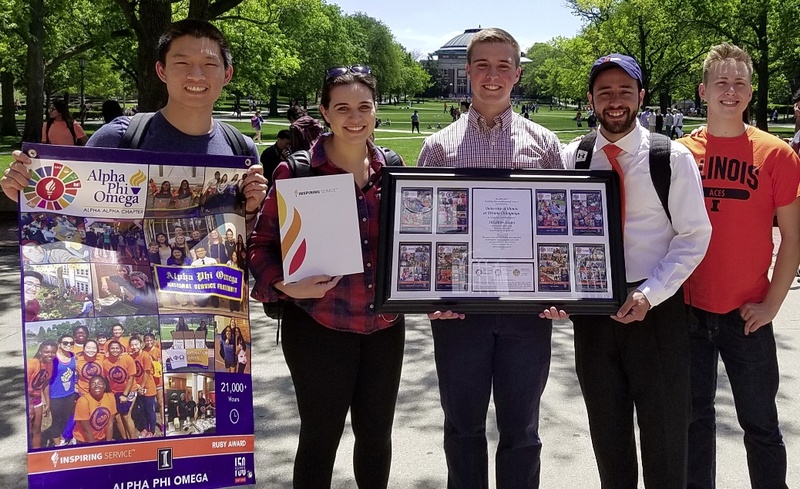 The Student Committee on Campus Engagement at Illinois chose to honor their University's 150th year by capturing the impact of student-led service projects, programs and events. 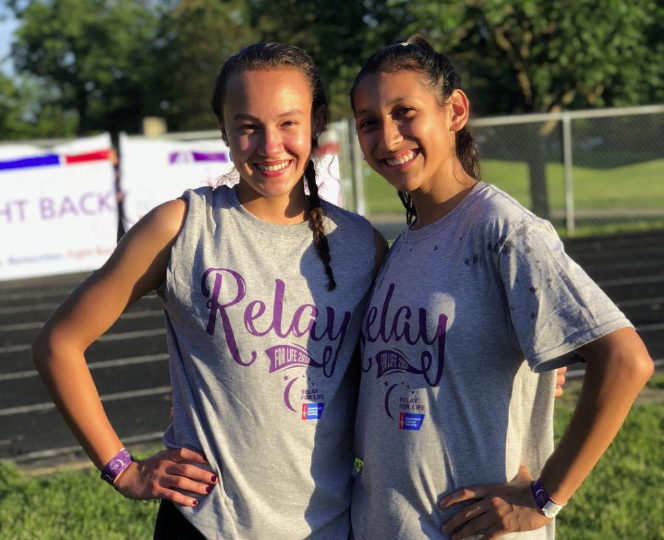 More than twenty clubs, teams, and departments contributed to the effort, showing that Illinois' spirit of service continues to drive positive change on campus and around the world. 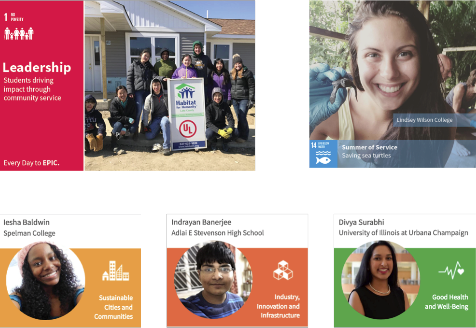 Throughout the year, Illinois students invested their time, energy and talents in contributing toward each of the 17 UN Global Goals. 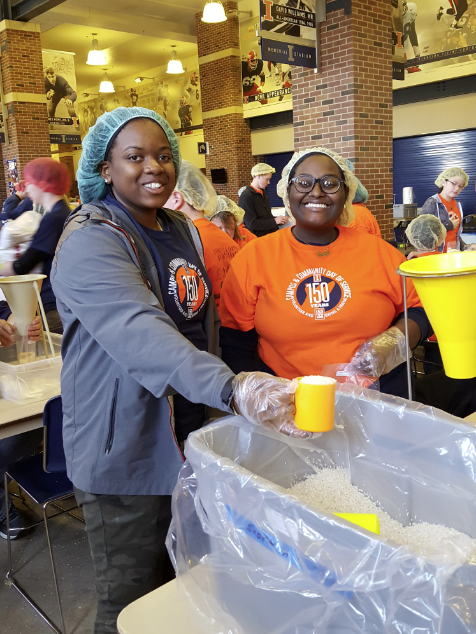 1,300+ campus and community members packaged more than 150,000 meals to help address food insecurity issues in Eastern Illinois.